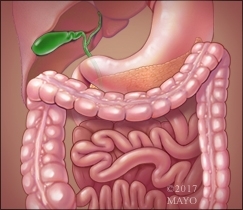 Jeanne Tung, M.D., talks about why optimizing vaccinations in patients with inflammatory bowel disease seems to be a challenging issue, and emphasizes the benefits of counseling from gastroenterologists and primary care providers. Safety: Inactivated vaccines are generally safe. These include the annual influenza shot, meningococcal, tetanus, pneumococcal, and HPV vaccines. However, it is very important that patients receiving prednisone or immunosuppressants should avoid live vaccines, which include varicella, nasal influenza, and yellow fever vaccines. The MMR and rotavirus vaccines are also contraindicated in children with IBD. Evaluation of an IBD patient for vaccination should be individualized, based on age and previously administered vaccinations. The best time to do that is at the time of initial diagnosis. Care Coordination: A majority of patients in the study reported that the primary responsibility to ensure vaccine completion lies with the patient and the family physician. Effective and consistent communication between gastroenterologists and primary care physicians is key to developing a feasible strategy to educate IBD patients on vaccinations.